Read about my chickens, my bees, my crabs, my garden and other interests I have accrued over the years. 1/4/2013 I redesigned my ‘top box cover’ and changed it to be a ‘top hive cover’. In the spring I will take a picture of the new top hive cover when I install it onto the bee hive. 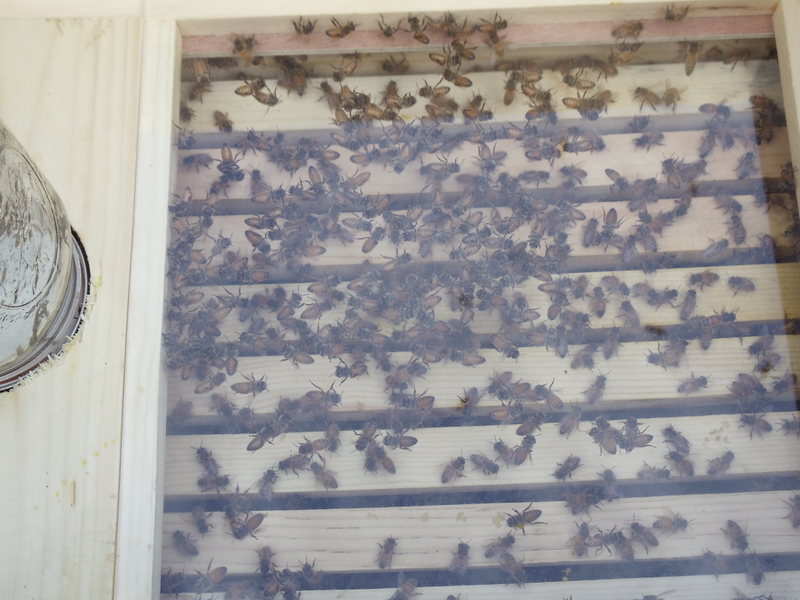 11/1/2012 Update on the hives. I have 13 hives, 12 strong ones and 1 weak one. I hope they all survive the winter. I sort of invented a see thru top box cover for the hives to monitor the bees during the winter. 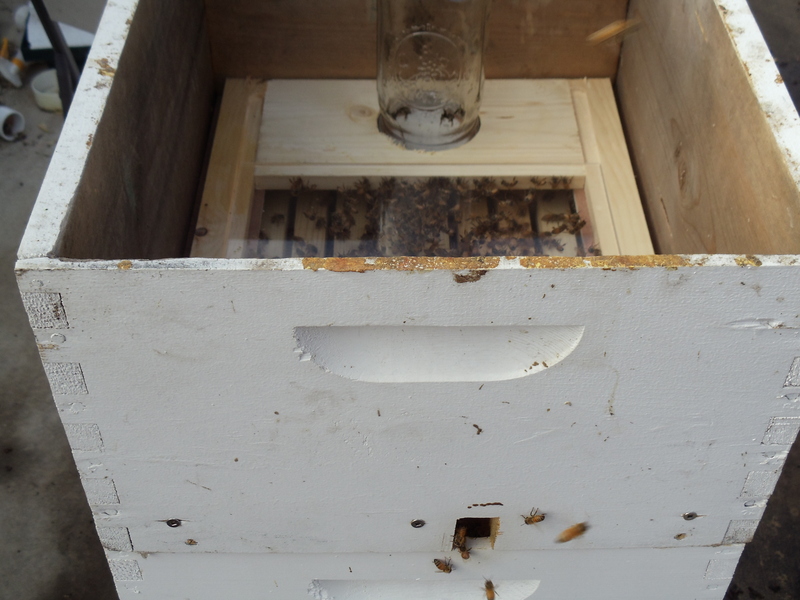 It is made from a large hive box with a plexiglass top. 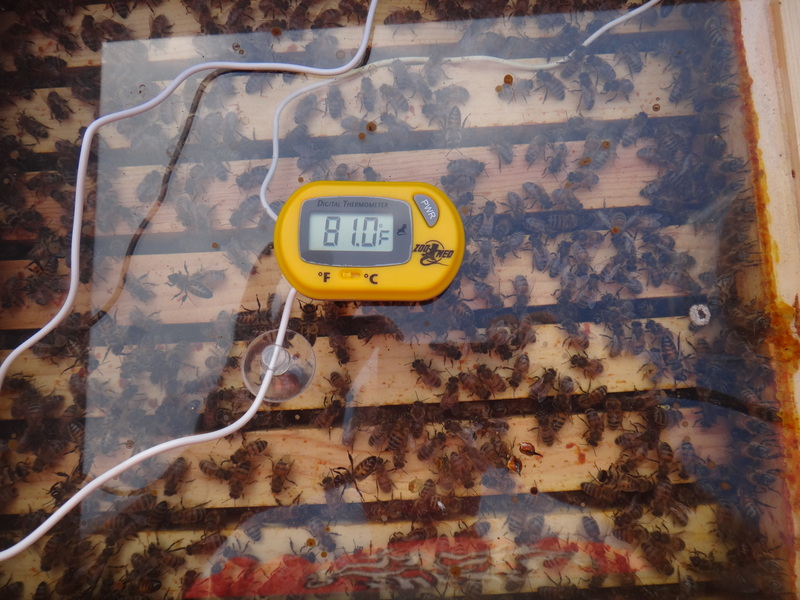 I installed a digital thermometer so I can monitor the hive temperature during the winter. 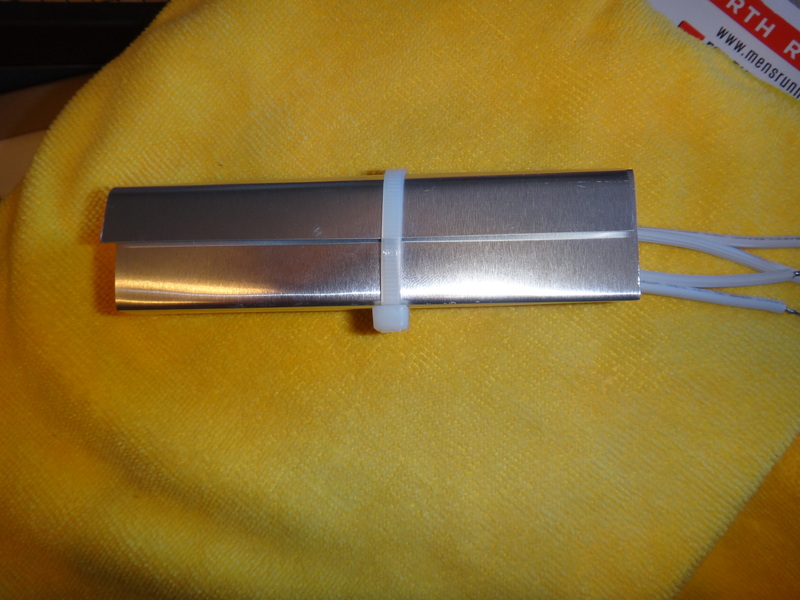 I also made some heaters for the hives, they are made from 2 7-watt Xmas bulbs enclosed in a aluminum frame. The heater turns on when the outside temperature goes below 37 degrees F. 3 pictures of the hive top, the heaters, and the heaters inside the aluminum frame. 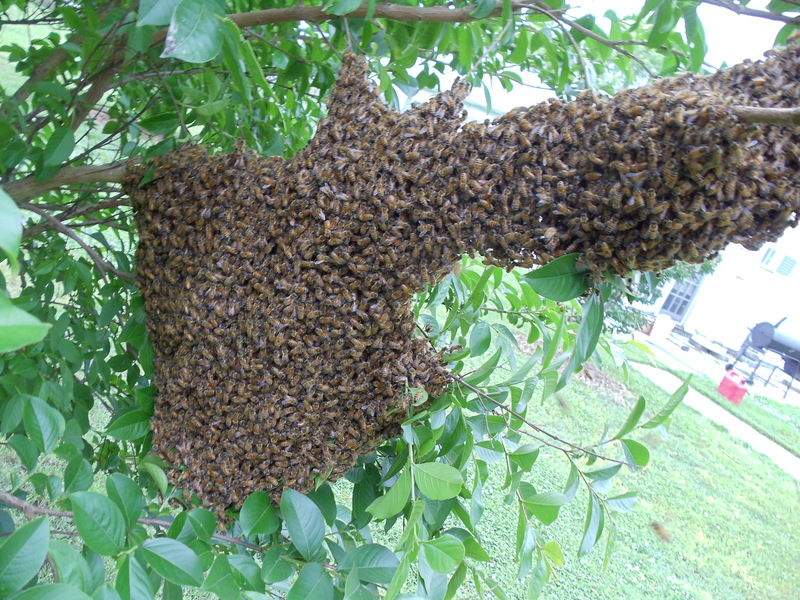 5/15/2012 I got lucky and caught another swarm on 5/14 (see the picture of the bees clustered on my Crepe Myrtle Tree before I caught them, my second swarm catch this year) and now I have my goal of 14 healthy beehives. The 4 Bee Packages arrived from honeybeesonline.com via USPS and they are the best bee packages that I have ever purchased. I installed the bees in the afternoon and as of 5/7/12 two Queens have been released and two Queens are still in the Queen cage. I now have thirteen bee hives and I plan to split one hive to get to fourteen hives total. 4/18/12 The RussellP Observation Cover view from front of hive body and a picture from the top. The bees are hard at work. 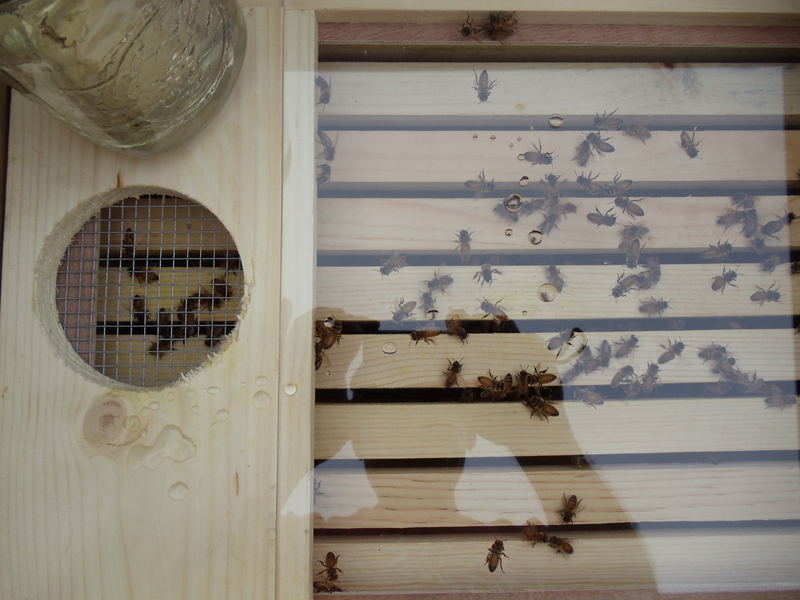 My latest innovation of the observation cover that replaces the inner cover on the top hive body. This cover allows one to observe the bees and change the feeder jar without disturbing the bees and getting stung. The Queens are scheduled to ship UPS Next Day on 5/29/12 and the 4 bee packages are scheduled to be shipped 5/1/12. I will post pictures of the new bees and the bee yard in May and my new observation bee hive cover soon. 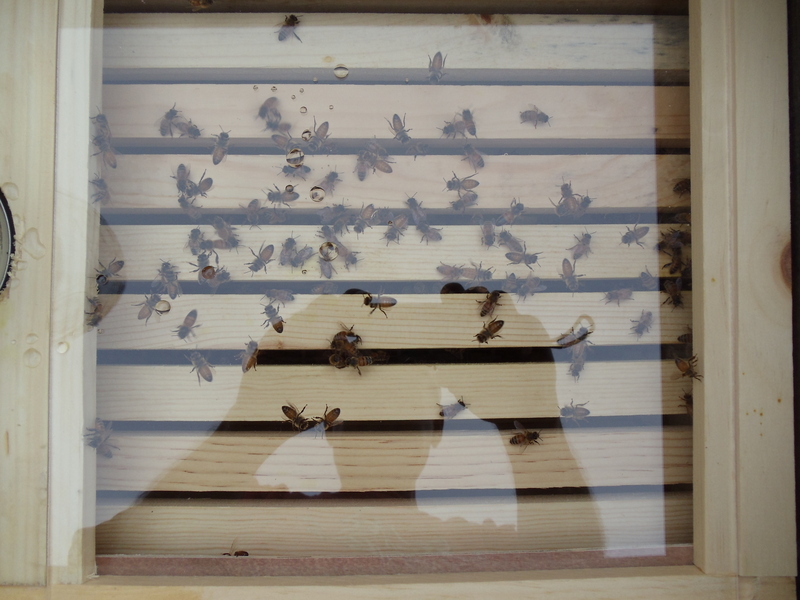 I ordered 12 Queens from Strachan Apiaries, Yuba City, CA with a tentative shipment date in April/May/June depending upon availabilty. I will post pictures of the Queens and the introduction of the Queens to their new families. I currently have 8 hives in my bee yard and plan on expanding the bees to try and have fourteen healthy hives in 2012. 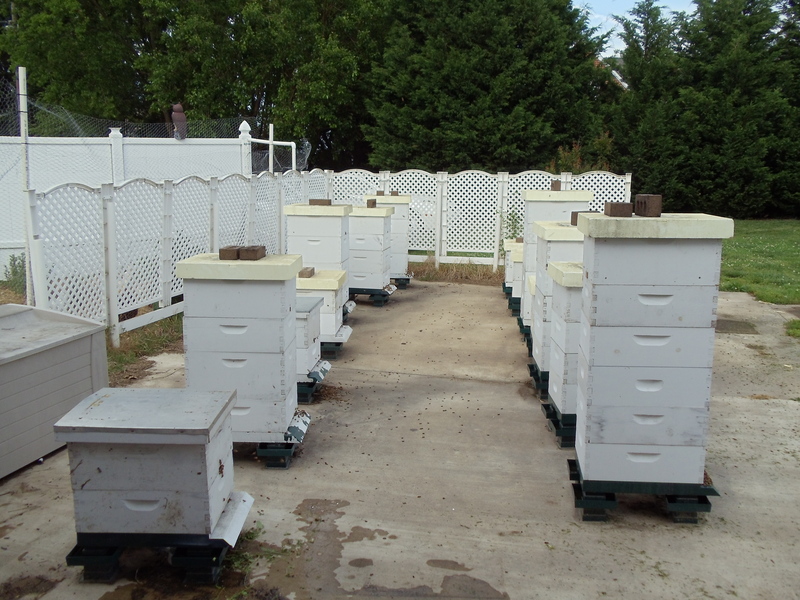 I have ordered 4 bee packages from Lane Bee Farms that are scheduled to be shipped on May 1st, with plans to requeen 8 hives and split two of the strongest hives. I will post pictures of the bee packages and the introduction of the bees to their new home. I am kind of a renegade when working with my bees; the only protection used when opening a bee hive is paint goggles (to avoid bee stings in the eyes) and of course some gentle smoke. The most times that I have been stung in one day is twelve times when I tried to capture a swarm wearing shorts and no shirt, but many times I never get stung even once when working with the bees. I have invented an observation top for my bees. 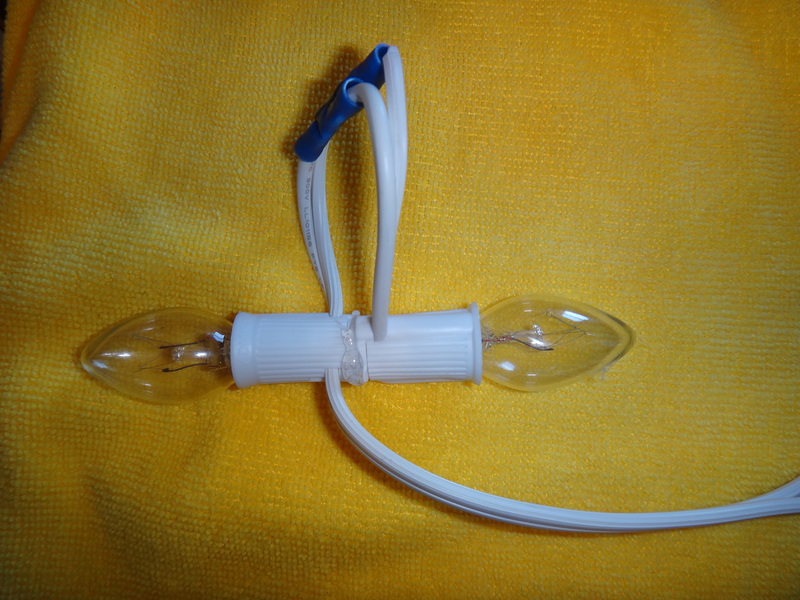 I do not have a patent, it is just an idea I came up with. So if you know any fellow beekeepers, tell them they are welcome to copy my idea and refine and improve the observation top and provide me some feedback. Picture of bees hanging out on front of the hive body. I finally finished and posted my beekeeping youtube video.